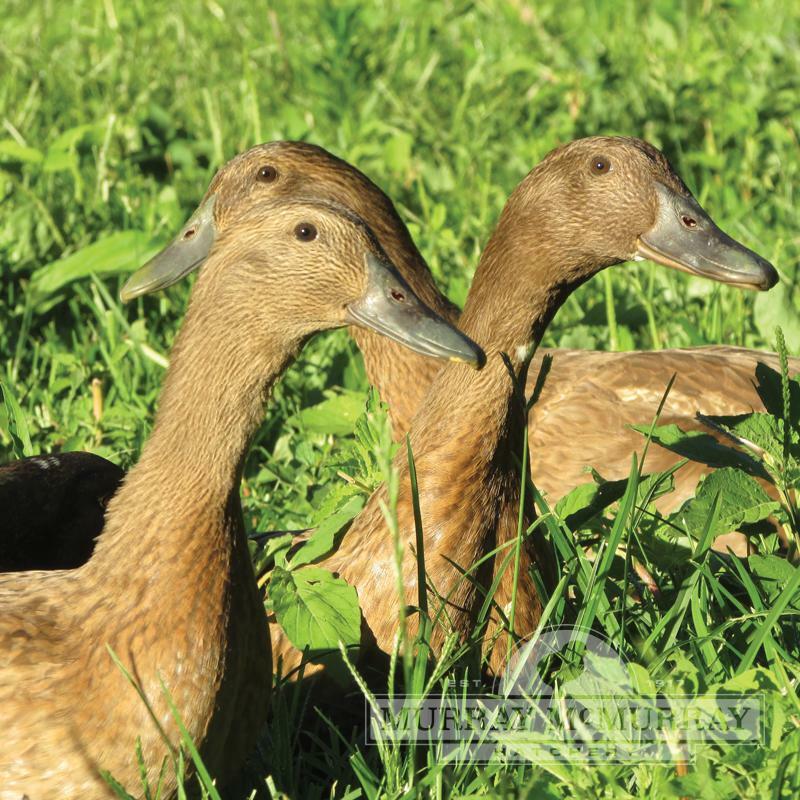 Khaki Campbell Ducks are one of the best general-purpose duck breeds, and probably the best layers of all of the domestic ducks. Khaki Campbells are excellent foragers and withstand colder climates very well. 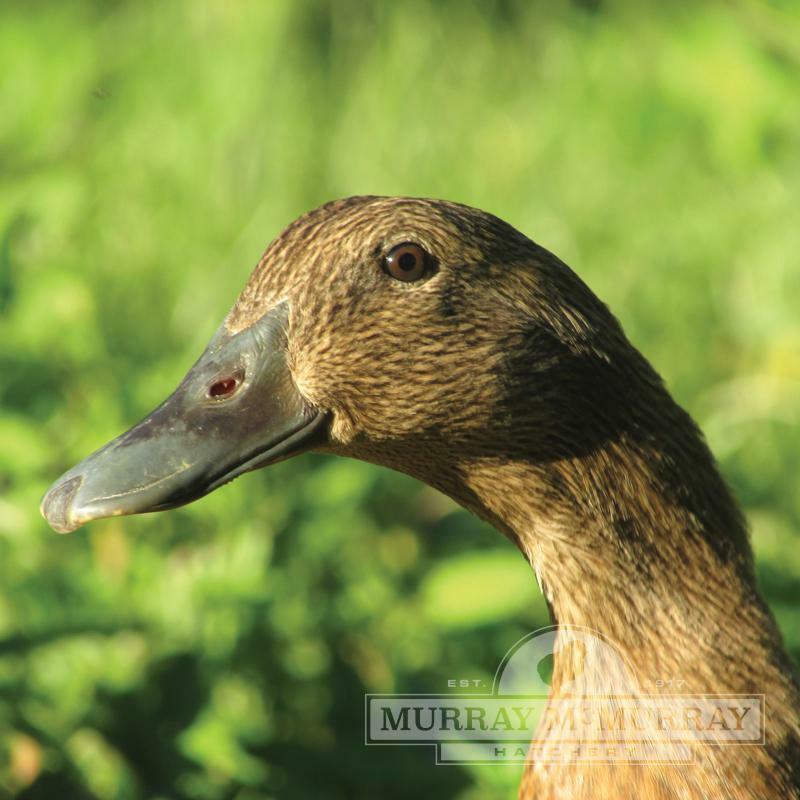 Mature ducks will weigh between 3-5 pounds, and this breed is also good for meat production. Female Khaki Campbells are seal brown, and males are the same color with touches of darker brown resembling the Mallard drake. 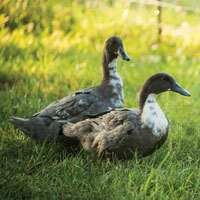 My Khaki Campbell ducks are about 7 weeks old. How do I identify the drakes (male)? Soon, if not already, the males will have a curl at the end of the tail. How many eggs do they lay a year? 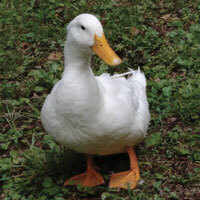 Khaki Campbell ducks average 165-210 eggs per year. 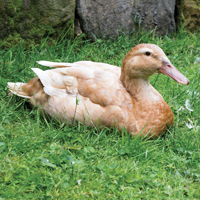 How long does it take for ducks to mature? 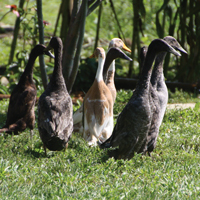 It takes ducks about 6-8 months to mature. Can you ship ducklings and chicks together? 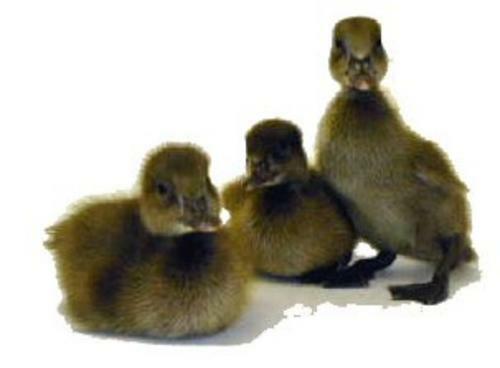 For biosecurity reasons, we do not hatch ducklings and chicks at the same facility. Ducklings cannot be shipped with baby chicks. 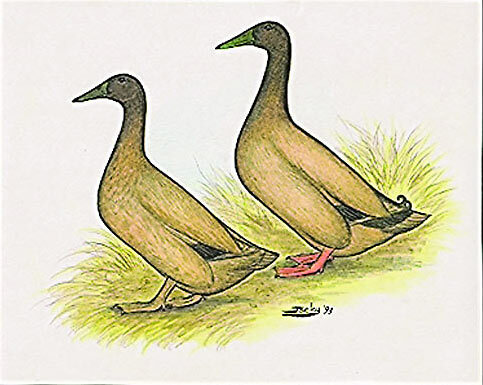 Khaki Campbell ducks may fly. Healthy BabiesI am SO VERY pleased with my ducklings. McMurray is AMAZING from the start of ordering to the delivery, Customer Service was AMAZING and all my babies arrived alive and well. I will be ordering again..